Ever wonder why author Lois Winston chose to write about me? I certainly have. My life was definitely a lot calmer before she set her sights on me and turned my perfectly normal middle-class life upside down. So the other day I came right out and asked her. It turns out it had everything to do with my career as a magazine crafts editor. Lois: I started my career as a romance author, but in my day job I’m a designer. For several decades (more than I’m willing to admit at this stage in my life! ), I’ve designed needlework for kit manufacturers, magazines, book publishers, and the world’s leading producer of embroidery floss. One day about twelve years ago an editor told my agent she was looking for crafting mysteries. My agent immediately thought of me and asked if I’d be interested in trying my hand at writing one. I jumped at the challenge, and the rest is history. First, I did a bit of research to see what types of crafting mysteries were being published. 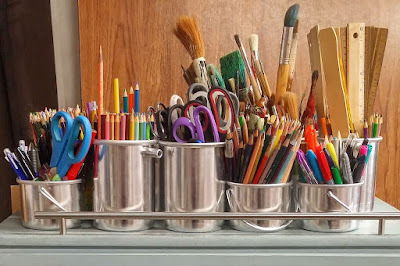 I discovered all of them featured one particular craft and most took place in craft shops or a crafter’s studio. With just about every craft already covered and many crafts represented in multiple series (yarn and knitting mysteries galore! ), I decided to break from the pack and chose as my sleuth a women’s magazine crafts editor. Lois: That way, rather than my mystery series centering round a single type of craft, I could feature different crafts in each book. No other crafting mystery author had done that. Anastasia: So my extremely normal and very safe profession thrust me into a life of murder and mayhem? Anastasia: Somehow I don’t think you’re sorry at all. You could have chosen an art teacher, you know. Lois: I suppose. But I didn’t. Lois: Anyway, getting back to crafts in mysteries…when you write a crafting mystery series, readers expect you to include craft projects, just as authors who write culinary mysteries are expected to include recipes. Recipes are easier. 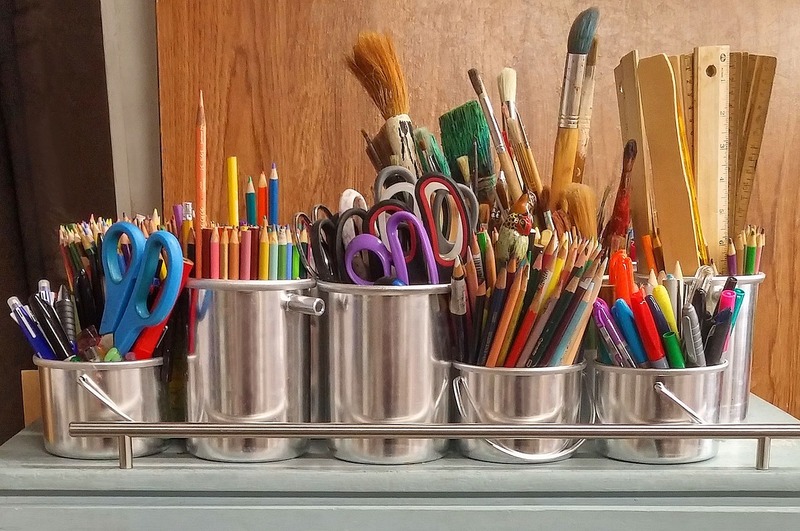 They don’t require charts or diagrams or step-by-step how-to photos the way many crafts do. For AssaultWith a Deadly Glue Gun, the first book in the Anastasia Pollack Crafting Mysteries, I chose to feature general crafts. I have you working on two different magazine features in this book, one for June weddings and one for Fourth of July celebrations. I included directions for appliqué embellished bridal tennis shoes and birdseed roses for the wedding crafts. For the Fourth of July crafts I featured recycled jeans placemats, clay pot candles, and a decoupaged flag tray. After the first book, I settled on one type of craft for each book. Death by Killer Mop Doll includes directions for making mop dolls and string doll ornaments. Revenge of the Crafty Corpse features projects made with fabric yo-yos, and DecoupageCan Be Deadly includes (what else?) decoupage crafts. In A Stitch to Die For I went with knit and crocheted baby blankets. 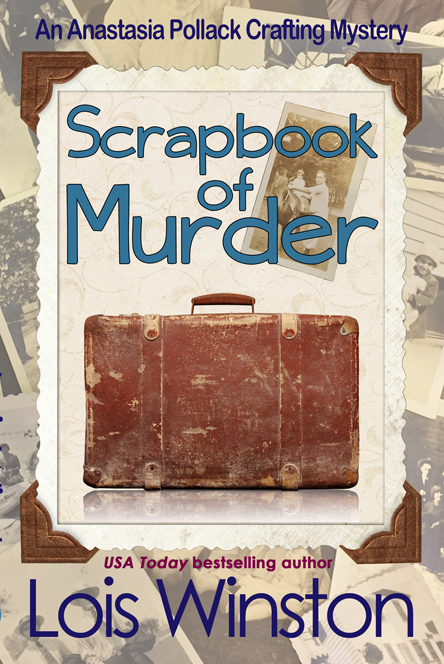 Scrapbook ofMurder is the newest book in the series. For this book, rather than include a specific craft project, I’ve featured a series of scrapbooking tips. Anastasia: After the chaos you’ve brought to my life, you want my help? As we say in New Jersey, fuhgeddaboudit!